‘Gadwall going north over the Havens, I’m watching it to see if it lands’. Quite an exciting way to start the day, but Richard’s early morning call was to get even better, ‘IT’S TURNED, IT’S HEADING SOUTH!’. Suddenly, one of my Fair Isle bogey birds was potentially gettable. Sure enough, a quick dash downstairs and, as Richard’s live commentary continued, it turned north again and went bombing over the Good Shepherd. Although I was peering into the sun, the silhouette was distinctive enough (well, it was good enough for a Fair Isle tick, I’d probably not have got a description of it past a committee) and I had my second Anatidae addition to my Fair Isle list in two days. 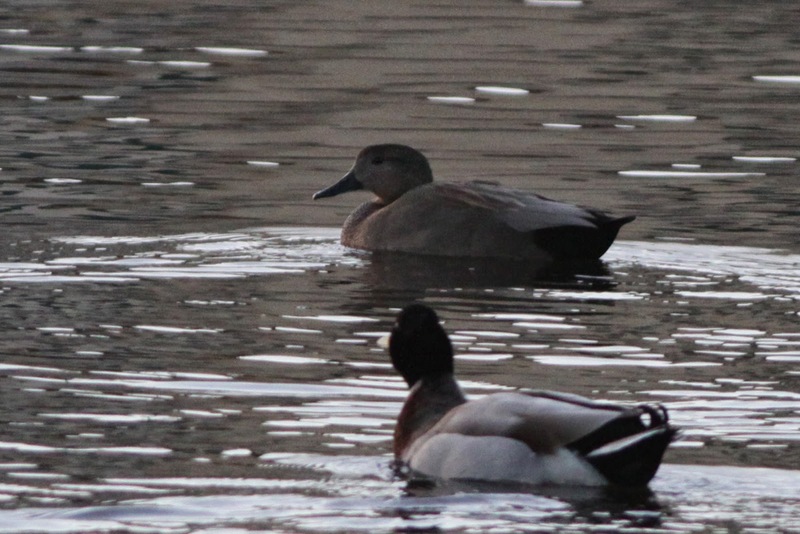 A Gadwall that presumably looks similar to the one Richard found - although this is one of my holiday photos from Tenerife, not the Fair Isle bird, of which I had slightly less convincing views. It was the first Fair Isle Gadwall since 2011. The decent early start to the day continued with a couple of Green Sandpipers and a Lesser Whitethroat added to the year list, but then things slowed down as the fresh north-easterly wind brought some heavy showers and conditions deteriorated. Highlights seen before the rain set in included two Wrynecks (one of which may have been newly arrived) and a Great Grey Shrike (which was later trapped in the Vaadal). 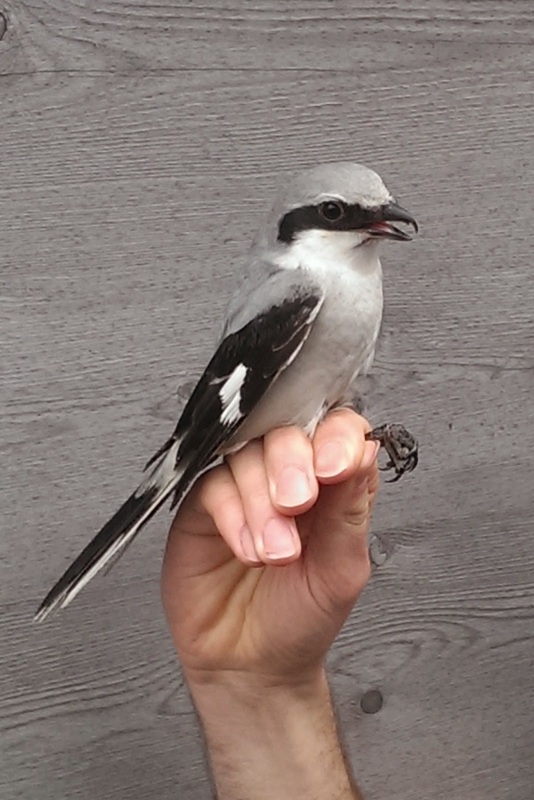 Our second Great Grey Shrike of the spring and also the second to be ringed. Spring records are scarcer than autumn ones and this is only the second spring since 1993 to record more than one. There appeared to have been a clear out of many migrants, with the only increased counts noted being the 9 Tree Pipits and 3 Jack Snipe. 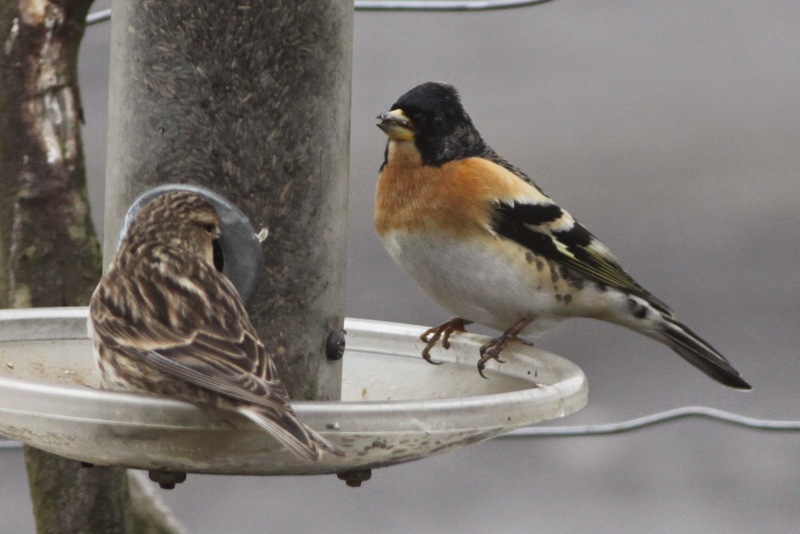 Although Brambling numbers decreased, there were still at least 40 around, with many of them feeding around the Obs. 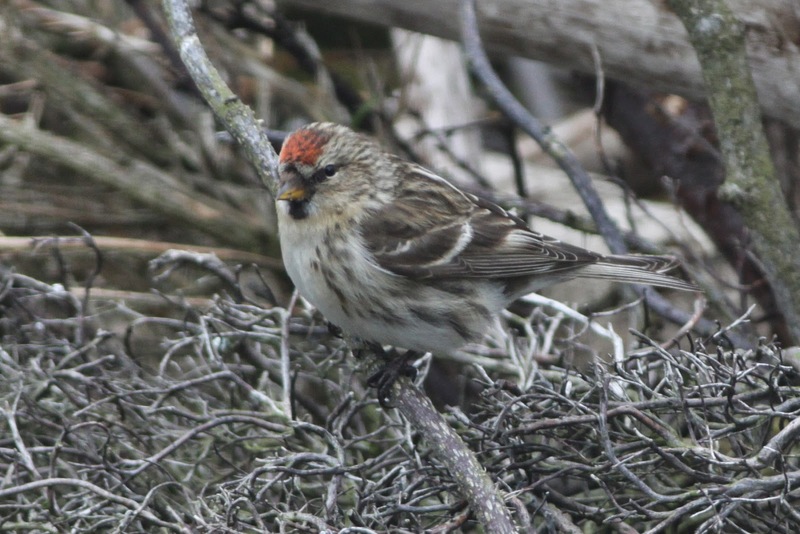 A few Mealy Common Redpoll also lingered around the Obs. Measurements of trapped birds so far suggests that the recent arrival has been of relatively small Mealies, perhaps suggesting a more southern origin than some of the larger, frostier autumn birds we often get.